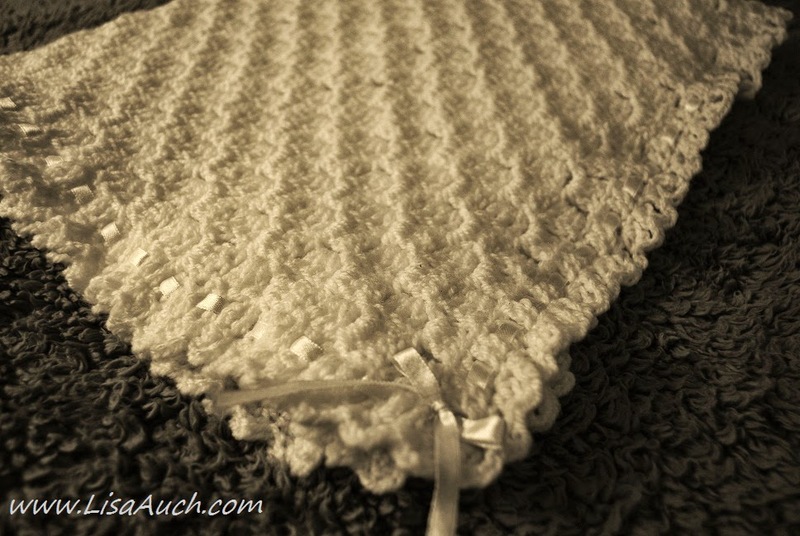 I love the simple yet elegant effect you can achieve using the v-stitch for a crochet baby blanket. 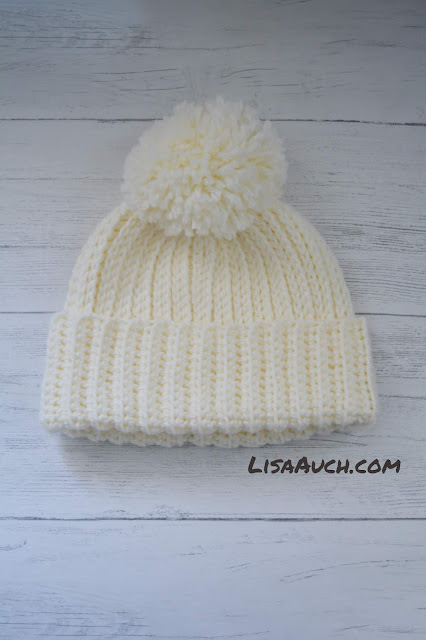 It creates a warm and cosy crocheted blanket for baby and is an easy crochet pattern to follow or to use to create your own pattern. Suitable Yarn /sport, baby But I love working this up in a chunky Aran 4/5. 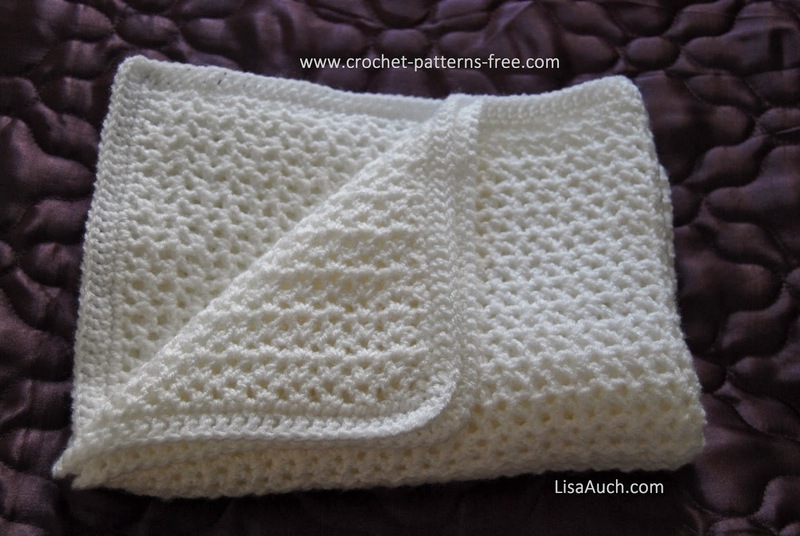 Finished size is 25" x 35" perfect for a stroller pram receiving blanket for extra warmth. Row1: dc in 4th ch from hook. Ch 1, skip next ch, *dc in next ch, ch 1, dc in same ch. Skip next 2 chs. * Repeat the sequence * * across the row. Until the Last 3 chs. ch 1, skip 1 ch, then work 1 dc in each of the last chs. 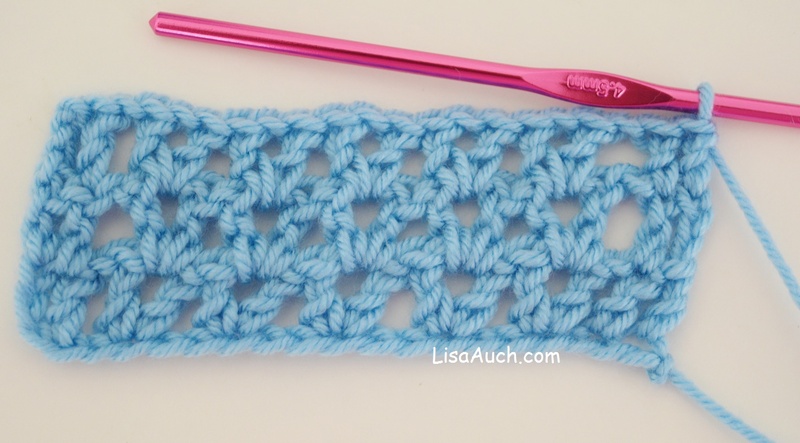 You Will continue working Row 2 for the rest of the the length you wish to make the baby blanket. I finished the blanket in a simple Double crochet around, making 3 double crochet in each corner stitch. 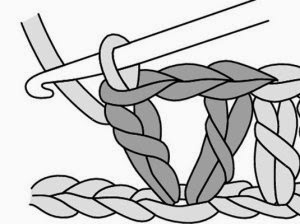 Which you could also thread a ribbon around to give a professional finish to the blanket. once you have mastered the v-stitch you can create beautiful crochet edgings for your blanket like this lacy V stitch effect. I love to try new stitches whilst making blankets, my favourite crochet stitch book is the The Complete Book of Crochet Stitch Designs: 500 Classic and Original Patterns I am never stuck for ideas, and I regularly give the book to my prospective customers and if they like a stitch they can customise their own blanket designs. 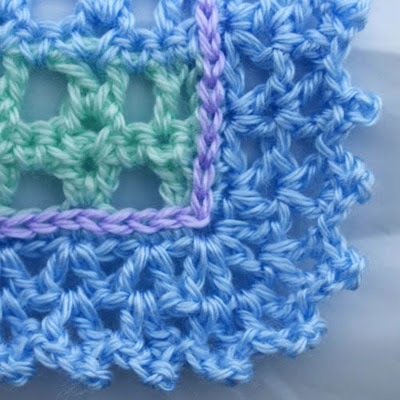 These crochet stitches are amazing and give charts and diagrams to follow.